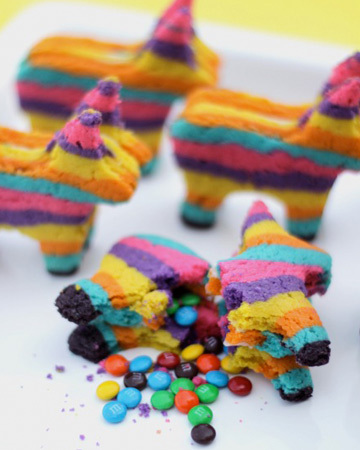 Cinco de Mayo piñata cookies. These are unreal!!! Elyse would go NUTS for these!!!!! She just hung a piñata outside yesterday to play and we all had to take turns — she wanted it opened before bedtime!!! !